Dr. Lee joined Radiation Oncology Associates in 2013. Prior to joining ROA he completed his radiation oncology residency at the Mallinckrodt Institute of Radiology at Washington University in St Louis / Barnes-Jewish Hospital. His training at Washington University in St Louis included substantial work with gynecologic, head/neck, lung, breast, and prostate cancers. Dr. Lee is experienced with a range of radiation oncology techniques including intensity-modulated radiation therapy (IMRT), TomoTherapy, stereotactic body radiation therapy (SBRT), high-dose rate (HDR) brachytherapy, and radiopharmaceuticals. During his residency Dr. Lee also completed additional training in low-dose rate (LDR) prostate brachytherapy at the MD Anderson Cancer Center in Houston, Texas and the Seattle Prostate Institute at Swedish Medical Center. His research interests at Washington University in St Louis have included lung stereotactic body radiation therapy and head & neck malignancies. He has regularly presented this work at the American Society of Radiation Oncology (ASTRO) Annual Meetings in San Diego, Miami, Boston and Atlanta. Dr. Lee has additional active interests in U.S. health care policy and medical education. 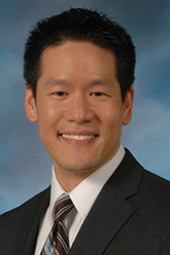 Dr. Lee is a native of Fairfax, Virginia and alumnus of the Fairfax County Public School system. He graduated with honors from Cornell University with a Bachelor of Science in Chemical Engineering and is a member of the Tau Beta Pi Honor Society. While at Cornell, he trained at the National Institutes of Health (NIH) in Bethesda, Maryland through a summer Intramural Research Training Award (IRTA), and at Merck Research Laboratories in vaccine bioprocess engineering. He joined the Medical Scientist Training Program at the University of Minnesota, completing his M.D. and also Ph.D. in biomedical engineering at the Center for Magnetic Resonance Research on full scholarships from the American Heart Association and NIH. During his M.D./Ph.D. studies, he was elected as a class officer for his medical school council and taught courses including cell biology for engineers, anatomy and physiology. Dr. Lee is Board Certified in Radiation Oncology. Fantastic group of professionals. I would recommend them to anyone. All aspects of treatment were first rate. Everyone was terrific and very knowledgeable about the treatments of the various types of cancer and treatments. From my observations there are many that are grateful for their knowledge, caring attitudes and great efforts taken to fulfill their obligations to the patients. Thumbs up to all from billing to medical staff. Everyone is very professional, courteous, and knowledgeable. I’ve enjoyed my experience here.